Cotton or DRY WICKING Heather Royal tee. 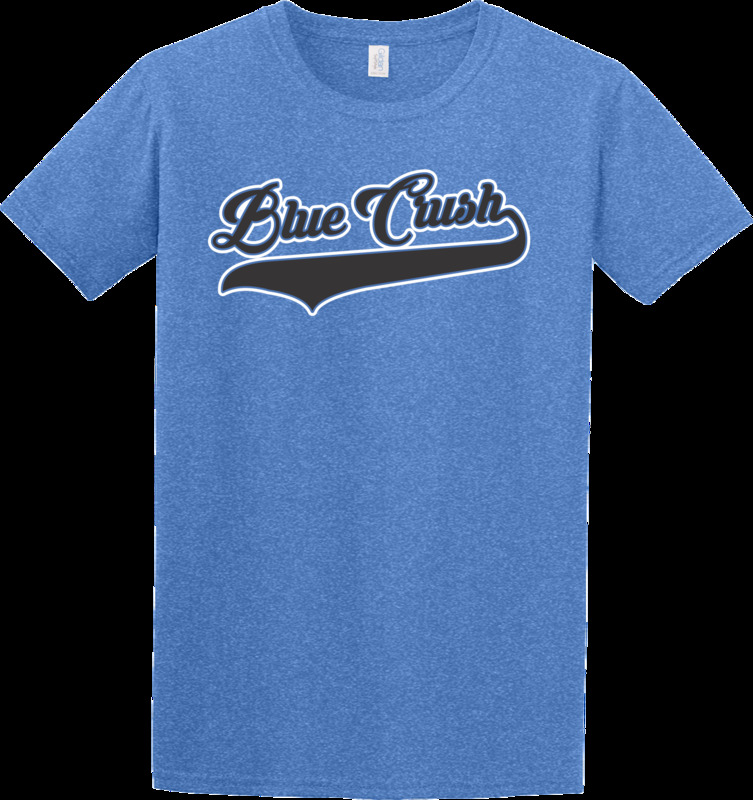 With Black and White Blue Crush logo. Cotton is a heather royal ringspun cotton (so it's softer than a regular tee).